It’s understandable that some people are a little uneasy about Kinect being included with every Xbox One console sold, but I think a lot of the disdain has to do with the test run of the original Kinect. I thought it was a good idea, but in reality the Xbox 360 version was just a beta test for what would go on to become the central hub for Microsoft’s new console the Xbox One. I think the popular argument right now is that Microsoft is forcing the Kinect on everyone, I think that is a bit unfair because the only new console that wont have a camera right out of the box is the PlayStation 4. The Wii U, 3DS and even the PlayStation Vita all have camera’s right out of the box, and in a day and age where every Smartphone also has a camera and built in GPS, the arguments against Kinect are getting thinner and thinner. You can argue the price point, but if you’re looking for a bit more innovation and options right out of the box, it’s well worth the price in my opinion. One of the things that Kinect lets you do right out of the box is split screen Skype chat with other people while you game, watch movies, television or if you just want to chat with family or friends. This was a huge selling point of the device at the unveiling and the fact that you can snap two things on the screen at the same time is a big advantage for the Xbox One. With such a huge selling point of the console, it’d be a shame to not include the Kinect just to shave a few dollars off the price point. As a clan leader in a competitive gaming clan, I’ll utilize Kinect for meetings with my members, we’ll go over strategies and plan our practices. The implications for using Kinect in this way are pretty interesting, and best of all you can use it right out of the box. We know the Xbox One will allow you to stream games via the Twitch TV app, but you can also do a live stream and split commentary with picture in picture with Kinect. Once again this is a huge selling point for a lot of people and something Microsoft showed off really early. 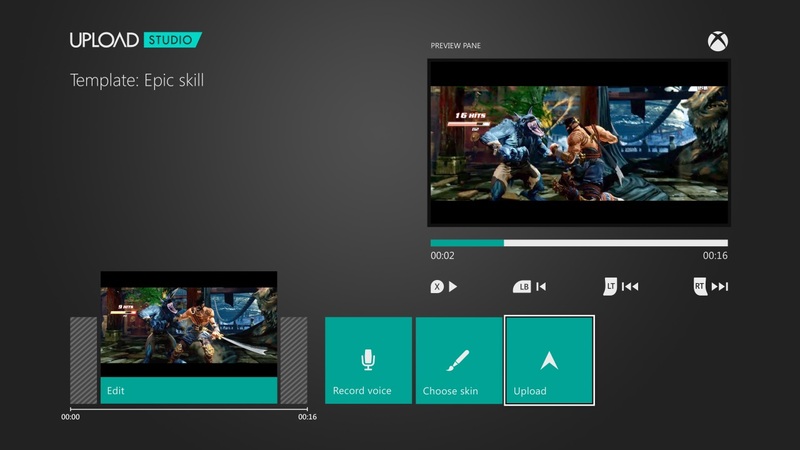 Not only can you choose to stream a game and yourself doing commentary, but you can save clips and do picture in picture commentary on any video with the new Upload Studio feature that is included with Xbox One. Again this is a huge selling point as many gamer’s record, upload and do commentaries, the main thing is that now everyone can get a little camera time if they so choose. And lets be honest, the videos where people go on camera are the ones that get the views and respect. If Microsoft didn’t include a Kinect with every single console, it’d be like gimping the console right from the start, just wouldn’t make sense to me. The tech of the new Kinect is so far beyond that of the original it’s almost startling. I enjoyed Kinect on the Xbox 360, but obviously it had a lot of limitations, including having to stand up for almost every game, the amount of space required, it wasn’t as accurate as it could of been. Originally Kinect for the Xbox 360 was supposed to have its own chip, but was removed last minute in a cost cutting move, had the chip remained it probably would have made for a better experience, and been truer to the experience we were promised originally at E3 all those years ago. Not while a lot of that might be a bit technical for some people, simply put the new Kinect is 1:1 or as close as you can get for motion controls. You can now play in a space 60% smaller than the original Kinect, it offers a full high def 1080p camera. 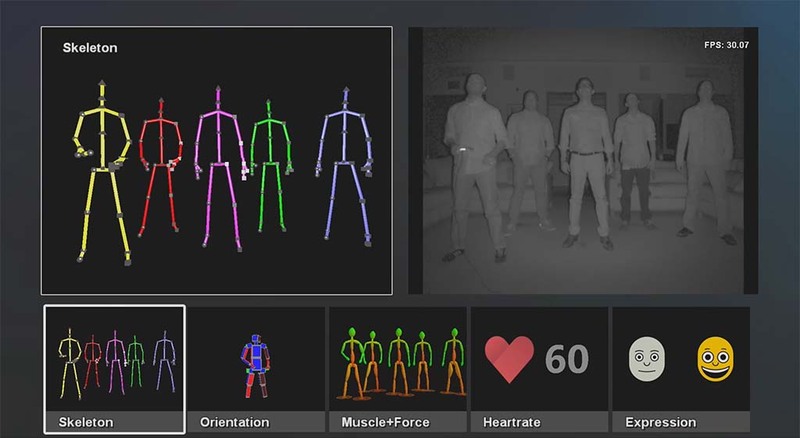 The new Kinect also allows up to six people to play at the same time, you can play completely in the dark. The camera is so strong it can track your smile and fingertips as well. The fact that it can also track your heart-rate will undoubtedly lead to a lot of functions with sports games, or fitness games. I remember a Gamecube title where the characters head would fall off if the characters heart-rate got too high, I could definitely see a horror game taking advantage of something like this. 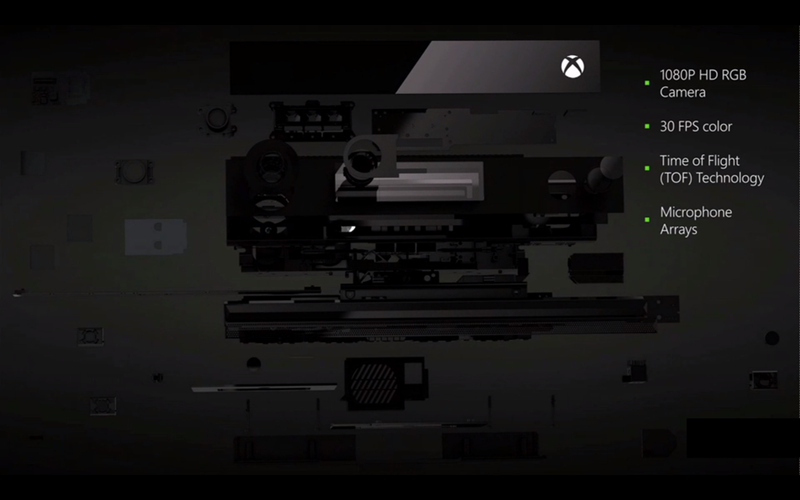 The fact that Kinect plays such a huge role in everything the Xbox One does, not even including the gaming applications, it was definitely the right choice to not reverse the decision to include the device with every Xbox One. UI Navigation with Hand Gestures. You can also use voice commands to control the interface and search for whatever you want. Identity Recognition. 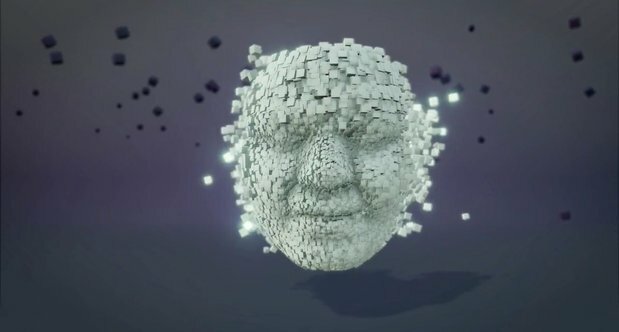 After you sign in the first time, the Kinect will remember your face, associate it with your live account and can automatically sign you in when you walk in front of the Kinect and pick up a controller. This enables an array of features such as automatically loading your favorites, your settings, your list of games. Kinect actually remembers your settings and likes and loads up your specific setups. Controller recognition. This works in junction with identity. Each controller is bound to the player holding it. It doesn’t matter which controller you are using. The console handles it and recognizes where you and your friends are in the room and adjusts accordingly. It can even tell when one person is holding more than one controller. Imagine that you had a preferred character or setup on a game, Kinect knows this and so when it sees that you’re playing the game it automatically loads your setup or character. That’s a very interesting idea, and one of the many things Xbox One can do right out of the box. 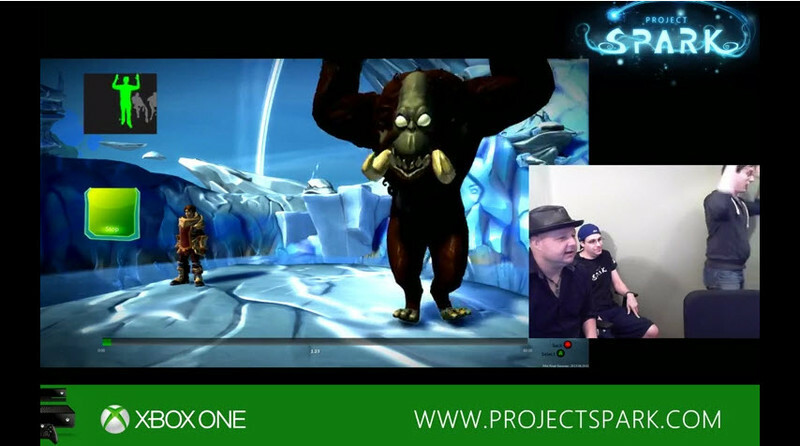 The gaming applications for the new Kinect are pretty impressive, one of the most interesting things I’ve seen that you’ll be able to do is create character animations with Project Spark. If you have ever wanted to design a video game Project Spark is as close as you can come without going to school to do it. Not only can you use Kinect to control pretty much the entire process, but you can make unique character animations that change the way your game is played. Now what I like best about what Microsoft is doing with Kinect is that they’re playing to the strengths of the device, I think they found out last generation that it was great for fitness and dance games, but it really shined as an option for more core controlled games as well. If you played Skyrim, Mass Effect 3, Forza Motorsport 4, Madden, Need For Speed or Halo CE Anniversary you know what I mean. Kinect enhanced all of these experiences if you wanted it. The thing that will help developers add interesting Kinect features to games is the fact that developers know that everyone who owns an Xbox One also owns a Kinect, so they don’t have to worry about limiting the features or excluding anyone. I could see Kinect being used for Elder Scrolls Online on Xbox One, instead of a keyboard for hotkeys you could easily implement Kinect. Here are some of the ways Kinect is going to be used, although some of this is rumor, most is fact. Dead Rising 3:box One Kinect integration allows zombies to respond to loud noises, bright lights and motion in the real world, along with the ability to grapple zombies and fling them off by shaking the controller. Forza Motorsport 5: You’ll be able to use the head-tracking features again, which should work even better with the higher fidelity Kinect camera. 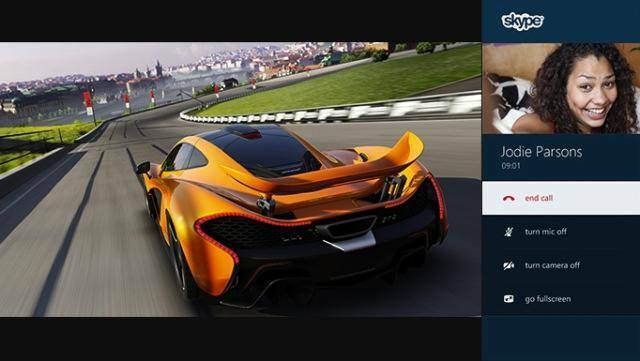 Rumor has it that you’ll be able to do full Kinect enabled racing too. Ryse Son Of Rome: Command legions using the all-new, high-fidelity Kinect. With the power of your voice you can command your surrounding units in battle in a strategic way to help defeat your foes, fire pilums or arrows, or block incoming attacks. Killer Instinct: The game uses Kinect to automatically detect who is playing and load their settings.”Say there are eight of you and you just start sitting down. I know a lot of people are like, ah, the Kinect camera in the room, I’m scared! But the coolness of being able to sit down, the controller pairs itself to you when you pick it up. It knows your buttons. It knows how you like to play. It knows what characters you want to play. D4: D4 is a game from Swery65 and it actually uses Kinect to control the entire game if you so choose. It can also be controlled entirely with a controller, so it’s an option completely. Word is that the game is an absolute blast to play with Kinect and a breeze to use. Crimson Dragon: This was originally a Kinect only game on the Xbox 360, but since has been switched over to the Xbox One and now includes regular controls, with the option for Kinect controls as well. Hand gestures for barrel rolls, and voice commands to control dragons are some of the options. Battlefield 4: This is something quite a lot of people are looking forward to, head tracking in a FPS game would bring an entirely new level of immersion to the genre. Dice has said they are “looking into it”, but no official announcement has been made. Call Of Duty Ghosts: Activision’s CEO, Eric Hirshberg, has confirmed that Call of Duty: Ghosts will integrate the new Kinect 2.0 voice commands feature. This is a first for a Call of Duty game. There will obviously be Kinect only games, as we know there is going to be a line of fitness games releasing on the Xbox One that use the device. The Fighter Within is also a release date game that uses Kinect entirely, and Kinect Sports Rivals looks very promising and is scheduled to come out in early 2014. A lot of the negative perception of Kinect is that it’s spying on you, but since you don’t have to use it, and you don’t have to be connected to the internet, those aren’t valid reasons to hate on the device. Almost every outlet that absolutely hated the Kinect for Xbox 360 has come out saying the Xbox One’s version is pretty great. If the Wii U, Vita and 3DS are all allowed to “force” a camera on us, why can’t the Xbox One? I’ve said this before, but this next generation has to be about more than just prettier graphics. I think Kinect allows there to be the case with the Xbox One at least. I do think the PlayStation 4 is a fine piece of hardware, but why not include the camera or a Move in every box? Developers would really take advantage of such a move because they’d know everyone who owns a PS4 would also own one of those devices. I really think Sony pulling their camera last minute was a mistake, it sort of means it’s dead in the water for developers, and really they could have still undercut the Xbox One in price. At the end of the day I hope Microsoft realized the advantage of packaging Kinect with every Xbox One, the console was designed around it, and not just the gaming aspects. If you bought an Xbox One without Kinect you’d be playing a really gimped version of the system in my opinion. The arguments against Kinect are getting fewer and fewer, with the slightly higher price being the only one left, but it’s not as if the price is THAT much higher. And when you compare everything the Xbox One comes with and the features, for it to undercut what the PS3 launched at is impressive. Right out of the box the Xbox One has more options, and this was a very smart move by Microsoft, even if the internet vocal minority doesn’t fully agree. I hear you, the last couple of months are just dragging. Thanks for checking out the article. Great article! My family is active and the Kinect brought us together for great times. Sure it had it’s faults but it was a first edition. The new Kinect is looking great. I remember my 5 year olds face the first time Elmo put on the same shirt she had on because she was playing Sesame Street Kinect. I do fear for the threats or idiots that will flock to this article once it’s circulated. There are a lot of closed minded people out there that can’t get over change. I remember my first phone with a 1.5mp camera included. I was like “Why the heck do I need this? I don’t want a camera on this thing. GPS? I have a Garmin, I don’t need that built into my phone!” Now I have a smart phone that does the work of my laptop, camera, GPS, and more all in my pocket. I love technology and advancement. I agree! You probably look like an idiot just sitting on your couch. Just FYI I would look out for in the next week or so we will have a heated debated. I will be looking forward to reading your article when that time comes. I stopped reading at “could of”. Don’t ever do that again. Ever. The first thing journalists need is fluency in their own language. If you don’t dominate your language, your articles mean nothing. On the subject of Kinect: Sure, it’s a smart move to bundle it with the Xbox One. This means developers can be certain that they have a camera to work with, which gives them more incentive to use it. In this age where gamers are unhealthily obsessed with power, it’s good to see most consoles try to introduce something new and different. It’s good to hear that. I know the comments section of any article is always filled with all kind of mistakes. But many people learn their language through articles like this one. They might see these opinion pieces as authorities on language. That’s why it’s important for news websites to get their grammar right. Looking back, I think my previous comment might have been a bit too harsh. No it’s fine, I mean I’m just an amateur writer. Video games are my hobby and I do this kind of when I have time. I run it through a spell check before I post and sometimes I miss little things. Thanks for checking out the article though. Nothing about Xbox Fitness??? The things kinect will do with this are amazing! Big selling point here. I agree, thought I mentioned it. Anyway I do believe it’ll be an excellent selling point and one of the most important pieces of software for Kinect. I like the approach that Microsoft is taking with Kinect, not forcing it on every game, but using it where it makes sense. 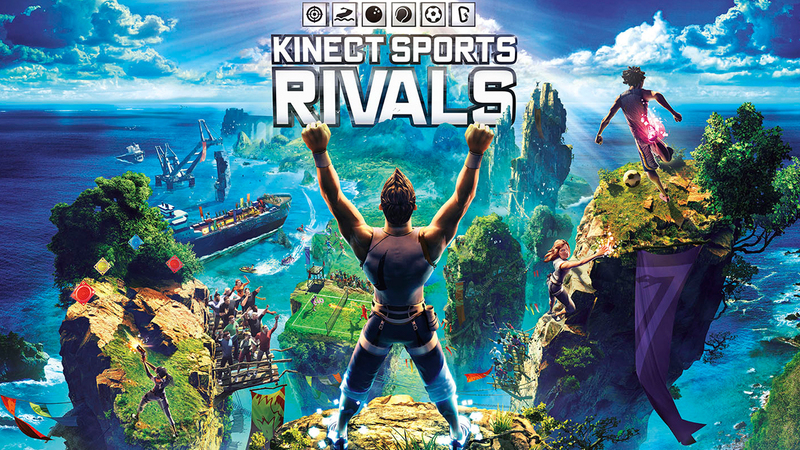 Even Kinect Sports Rivals isn’t using Kinect on everything. Keep up the mature attitude. Think about the possibilities that come beyond the game applications. How about apps that are specifically made to use the new kinect? You don’t know where you controller is? “Xbox, find my controller” and the xbox depicts a 3d image or direct camera feed of the room and you see a controller image blinking under your coffee table. And this is just something I tough of in a minute or so…. you want to keep the loss at bay.